A cyanotype is a photographic print in white on a blue background made usually on paper or cloth which is light-sensitized with potassium ferricyanide and ferric salt. A permanent print can be made by layering opaque objects (leaves, lace, paper, drawings made on transparencies) over the sensitized material and exposing it to the sun or a UV light source. 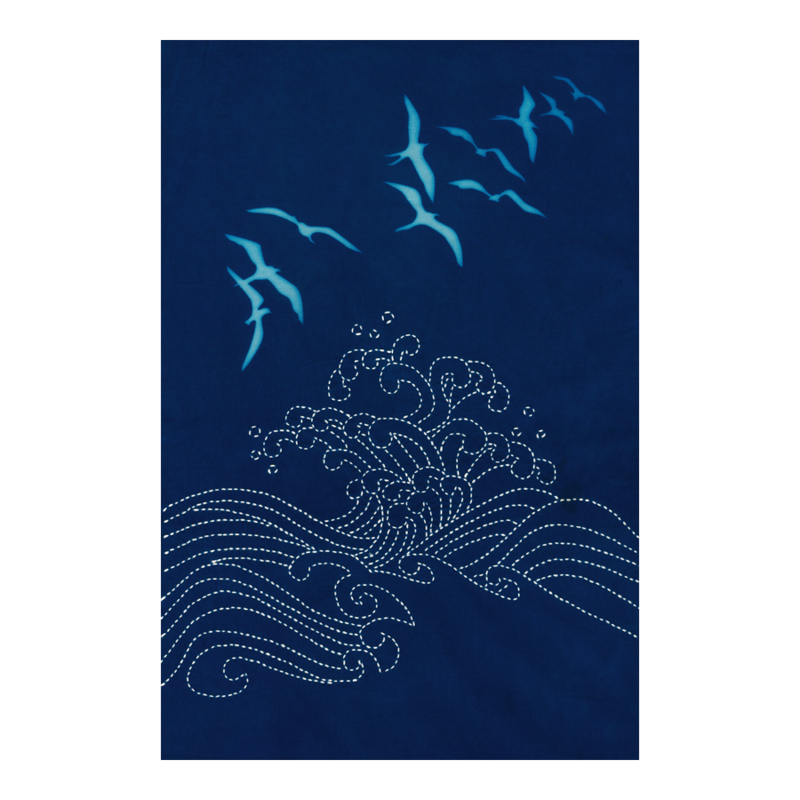 Each panel is hand-printed for you by Sylvia Pippen; no other work required besides stitching the sashiko, which is also printed onto the fabric. Save the transfer step—just stitch over the dashed lines! Includes sashiko instructions.